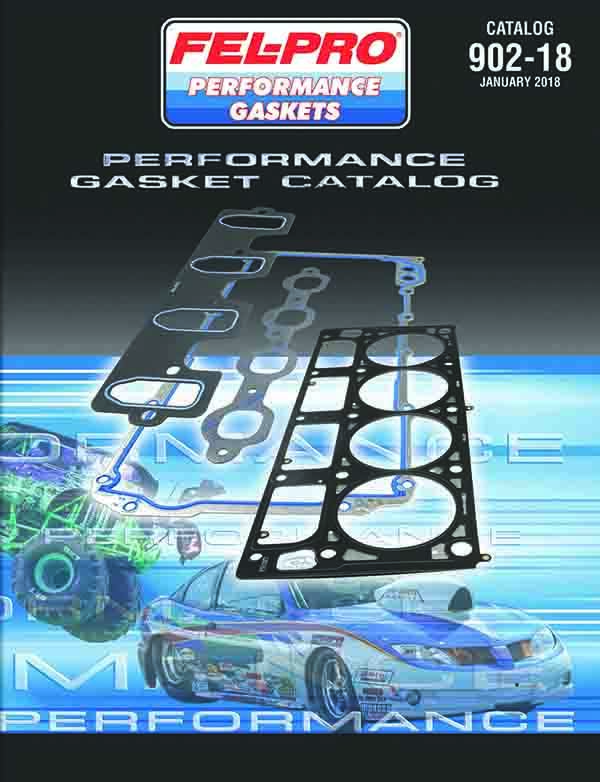 Federal-Mogul Motorparts has released the 2018 Fel-Pro Performance Gaskets Catalog, which features 97 additional performance gaskets, sets and related sealing products. 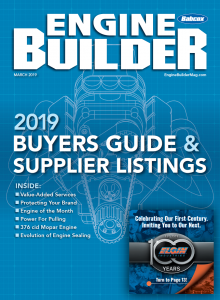 The 2018 catalog highlights the brand’s expanded offerings of track- and street-proven multi-layered-steel (MLS) head gaskets, intake manifold sets, high-temperature alloy (HTA) turbocharger gaskets and other products. Now celebrating its 100th year, the Fel-Pro brand continues to build an impressive heritage through aggressive investment in R&D and expanded coverage of the latest performance engine combinations. Among the new products featured in the catalog are Fel-Pro PermaTorque MLS performance head gaskets for the following engine platforms: traditional small and big block Chevrolets, LS-based engines and dedicated race castings of all sizes; late-model Dodge Hemis, big blocks and Pro-Stock V8s; traditional Ford small blocks, Modular and Coyote engines; Subaru 2.5L; and several specialized racing engines. The brand now offers a complete lineup of PermaTorque MLS performance head gaskets covering an unparalleled range of engines, bore sizes and compressed thicknesses. Also new to the Fel-Pro performance line are 11 intake manifold gasket sets as well as several exhaust header gaskets, valve cover gaskets and one-piece oil pan gaskets. Federal-Mogul Motorparts also has introduced three Fel-Pro turbocharger flange gaskets for use with T3, T4 and T5/6 turbos. These new Fel-Pro HTA gaskets feature an award-winning high temperature alloy and proprietary coating, which can withstand temperatures of up to 1,600 degrees F.
In addition to extensive new coverage, the 2018 catalog offers a user-friendly new format that lists available Fel-Pro performance products by engine size. Detailed photos of each gasket, seal and/or set are included with each listing. 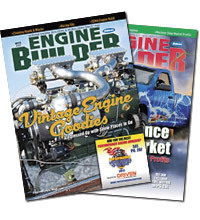 Rather than rely on a paper catalog, customers can look up any Fel-Pro performance gasket or Speed-Pro performance engine part through the convenient new “Find My Part” feature at www.FelPro.com. Simply follow the “Performance” links while entering engine or application information. Also available through this new feature are digital versions of the latest Fel-Pro and Speed-Pro print catalogs.